The barrier created by thinking “I may make a fool of myself if I ask this” can mean that starting points and new directions for thinking remain undiscovered. Always ask the questions that seem too obvious, or those you think you’re supposed to know the answers to. 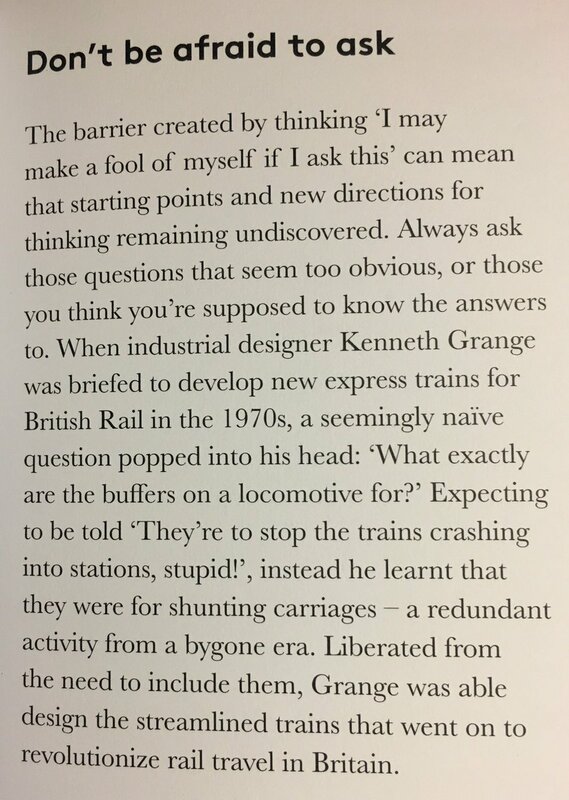 When industrial designer Kenneth Grange was briefed to develop new express trains for British Rail in the 1970s, a seeming naive question popped into his head; “What exactly are the buffers on the locomotive for?” Expecting to be told “They’re to stop the trains crashing into stations, stupid!”, instead he learnt that they were for shunting carriages — a redundant activity from a bygone era.